Zebra Plains Amboseli Camp has 12 luxury tented rooms that features comfy double/twin splits beds with mosquito nets, Indoor and outdoor Lounge,Indoor and outdoor showers with both cold and hot running showers,flashing toilet,wash basin,reading table. Each and every room has outstanding views to the peaks of Mt.Kilimanjaro and to wooded plains of Amboseli National park,ours is to ensure your stay with us is long lasting memory. 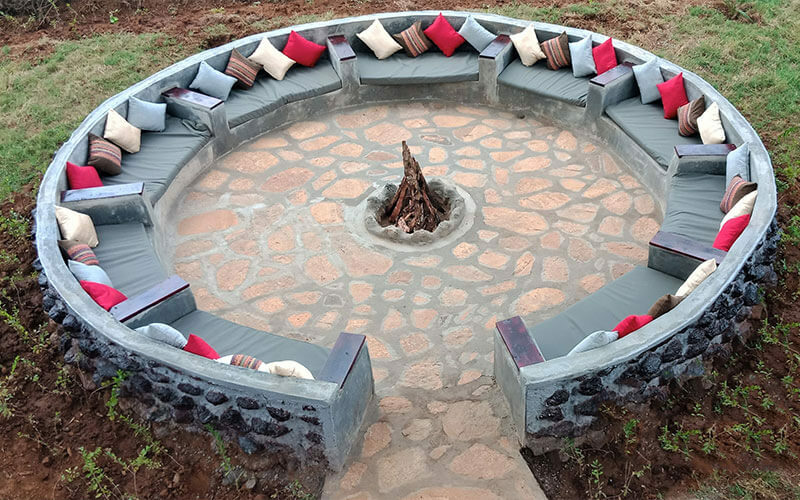 Our comfy bonfire is where we meet in the evening and share the day’s stories with your hosts while enjoying your favourite aperetifs served by our friendly staff,from here the open African sky at a night gives you a chance to watch the African sky with its amazing stars and its constellations. 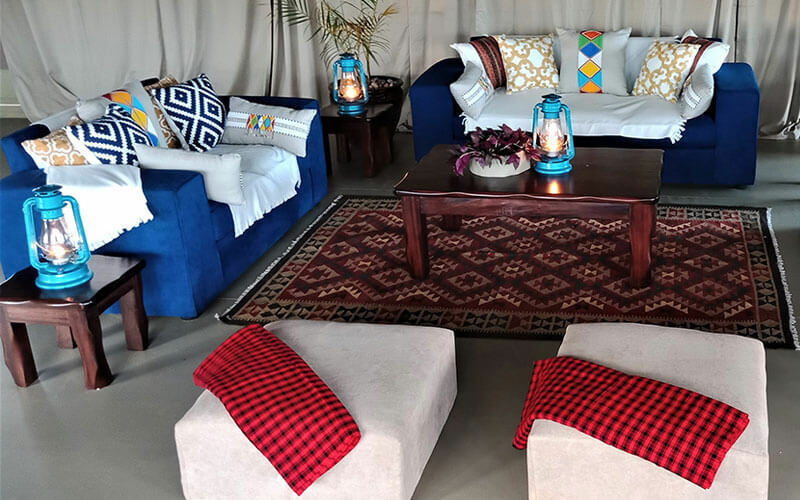 Our comfy lounge connected to a well stocked bar has both indoor and outdoor sitting areas that faces into a small watering hole that get frequented by elephants,Zebras,Giraffes and other resident games within our camp. Its is here where you relax at anytime of the day while interacting with your hosts or other guests as you enjoy your drink also a place to go through some of the African wildlife photo books form our small Library. 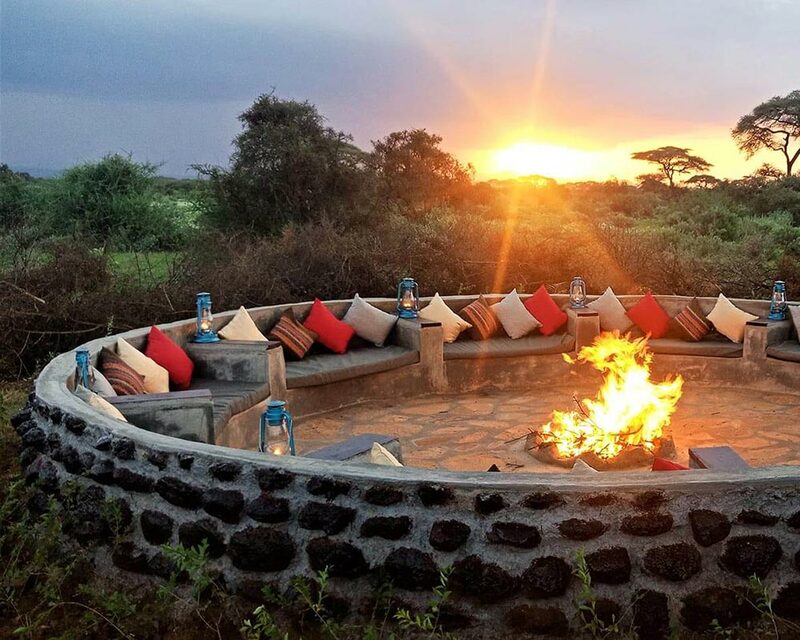 Zebra Plains star beds offers Romantic nights under the African stars with the sounds of the wild at night,amazing views of Mt.Kilimanjaro and African sunsets while enjoying private sundowner or sipping your hot tea to the African sunsets. Our two starbeds on stilts with wooden floors features comfy beds with mosquito nettings over looking Mount Kilimanjaro, outdoor sitting area, outdoor shower, washbasin and toilet area. Your comfort and safety is well taken care of by our traditional Maasais with friendly and warm African hospitality that Zebra Plains is known of.